People living in the slums of Kampala, the capital city of Uganda, have no clean water. Their only choice is to fetch dirty disease-ridden water from a ditch, river or other unprotected water source nearby. These communities are confronted with deadly waterborne diseases like Cholera and Typhoid every day. These diseases kill – they’re also preventable. 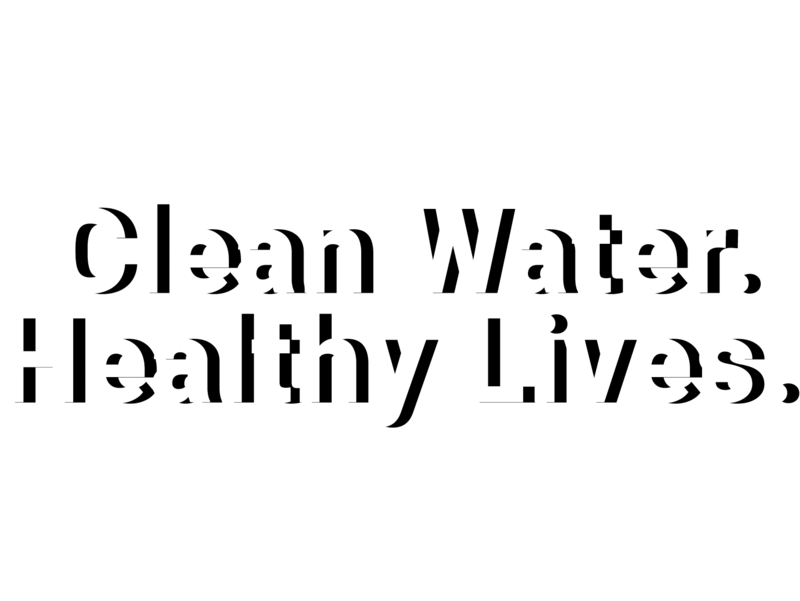 No Clean Water - How Would You Cope?  Your gift will go towards providing safe clean water through BioSand water filters and protected spring wells. It could also go towards the installation of much needed public toilet facilities. Together with the local Church we will train Christian leaders to educate local communities in good Hygiene and sanitation practices. These leaders will also be sharing the Hope of the Gospel. Dirty water is poured into the top. The dirty water is first filtered through a biological layer that traps organic material, parasites, microorganisms and viruses. 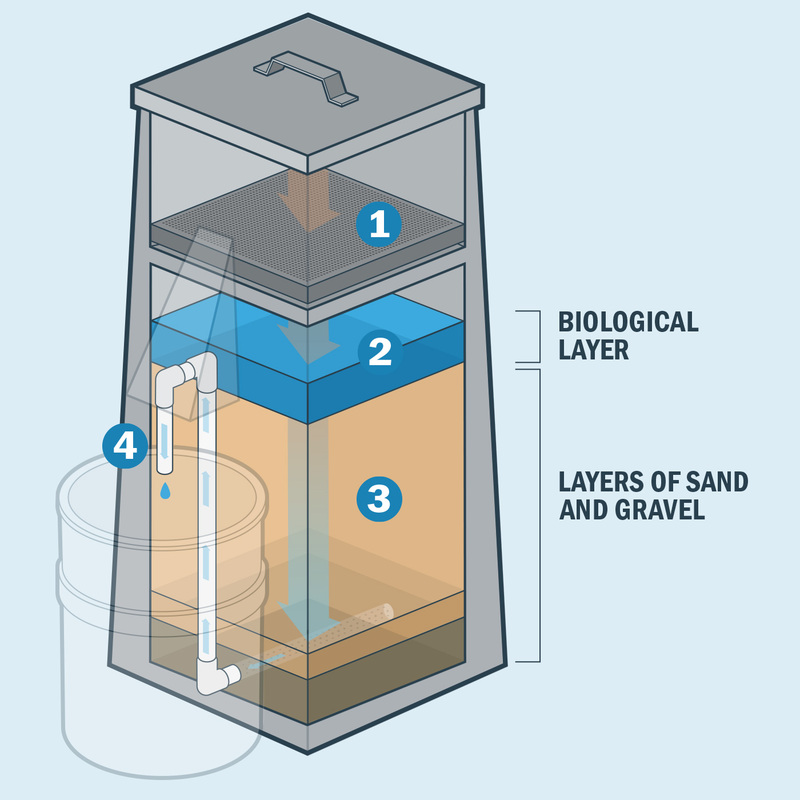 The water then flows through several layers of sand and gravel, trapping any remaining bacteria. 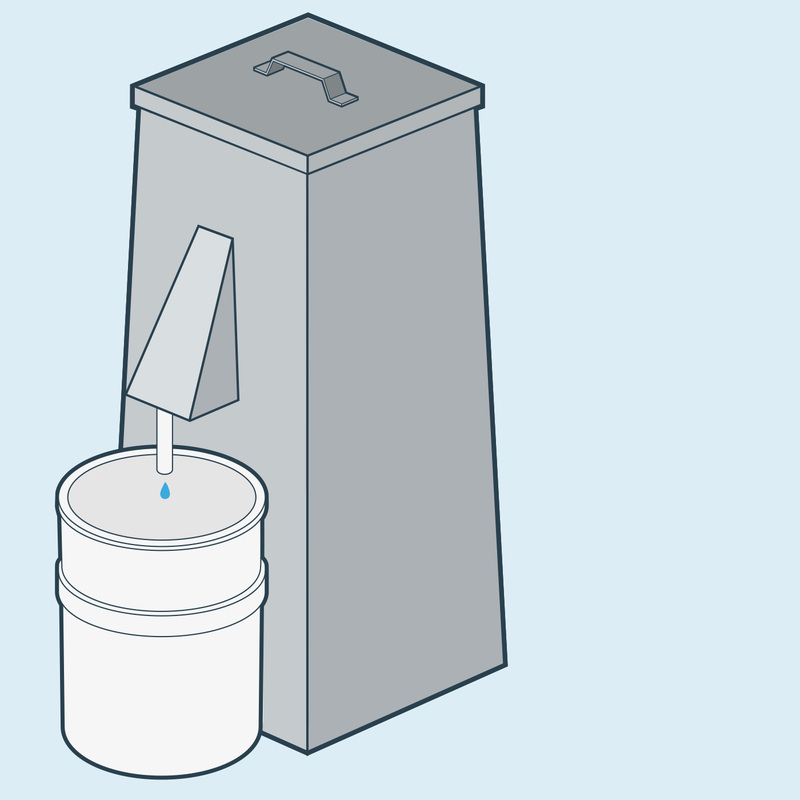 Clean water is forced out of the spout every time dirty water is poured through the top. Each filter can produce approx. 40 litres of safe water an hour. Filters can last for decades as there are no moving parts, no power supply is needed and they are made of concrete. 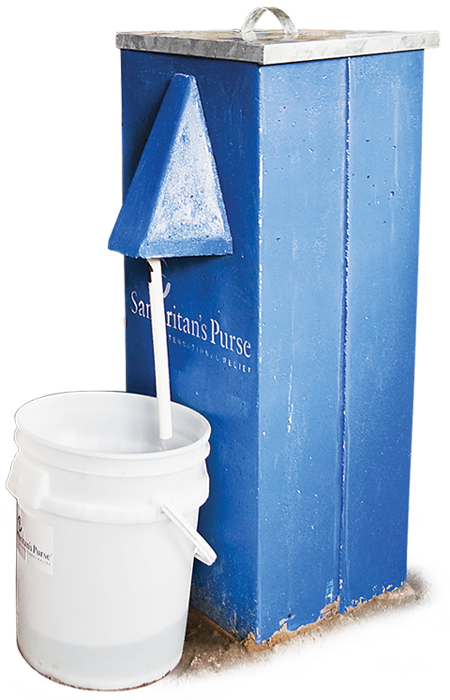 For 7,700 people in their homes through BioSand filters, or by having access to protected natural springs. For 400 people, reducing open defecation and contamination of surface water. By training Christian Leaders to educate 5,000 people in good hygiene and sanitation, whilst sharing the Good News of Jesus Christ.